Chelsea wasted a late penalty in their 1-1 draw with Liverpool on Tuesday, yet Antonio Conte’s men were able to extend their lead at the top of the league table and the Blues’ rivals sabotaged their own title bids. The Anfield draw set a stage nicely for Arsenal to maintain the pressure up in the title fight with a home victory against a Watford team well out of form. But the scenario was completely different, with the visitors hammering early goals and holding on for a brilliant 2-1 win which in turn severely damaged Arsenal’s hopes of catching the leaders. The Gunners are now nine points behind Chelsea and certainly have no other choice but to beat the leaders at Stamford Bridge on Saturday. 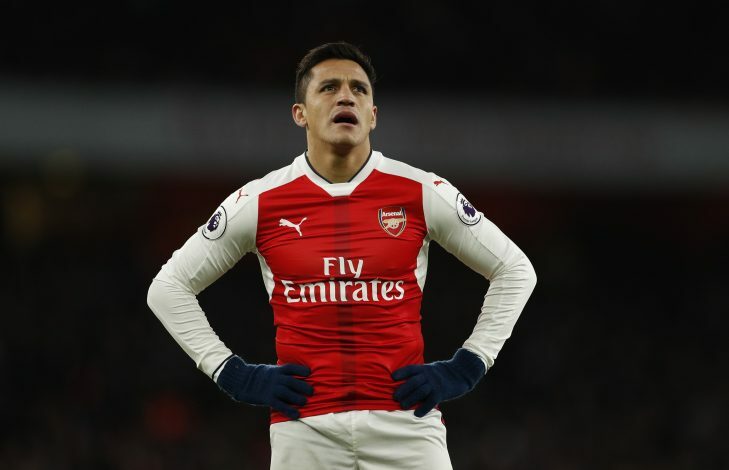 Arsenal slipped down to third place on goal difference behind north London rivals Tottenham, who drew 0-0 away to relegation strugglers Sunderland. Having sidelined goalkeeper Simon Mignolet initially this term, Liverpool boss Juergen Klopp saw him saving Diego Costa’s late penalty to earn his team a draw. The harsh reality is that; Liverpool started the season so impressively when they were scoring goals galore, but now are 10 points behind in the title race and has been ousted from both domestic cup competitions. 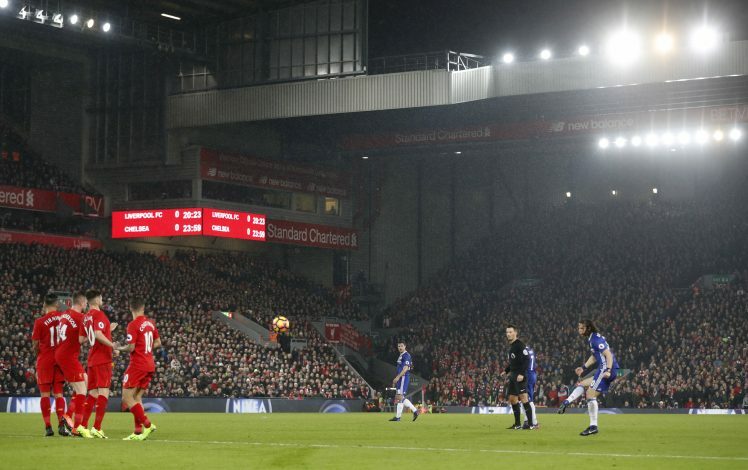 Against the momentum of the match, Mignolet was first beaten by an opportunistic free kick from David Luiz. Then Georginio Wijnaldum equalized for Liverpool in the 57th minute before Mignolet tipping Diego Costa’s spot-kick around the post in the 76th minute. But Costa’s miss didn’t even dampen Antonio Conte’s mood. The eccentric Chelsea boss was seen punching the air just after the final whistle. No wonder, considering that his rivals are struggling to mount any proper challenge. No late escape for Arsene Wenger’s boys this time. Arsenal are really riding their luck this season, snatching a 2-1 home victory against Burnley in the previous league match with a penalty seven minutes into injury time. Then there was the thrilling 3-3 draw with Bournemouth after trailing 3-0, or the 86th-minute winner against West Brom. Arsenal were expected to beat these teams convincingly. So was the case against Watford, particularly given the Hornets poor recent form and the fact Arsenal stepped into the match full of confidence following a 5-0 away win at Southampton in the FA Cup last weekend. But they were stunned. Early strikes from Younes Kaboul and Troy Deeney handed Watford a much deserved 2-0 halftime lead before Alex Iwobi managed to pull a goal back for Arsenal in the second half. 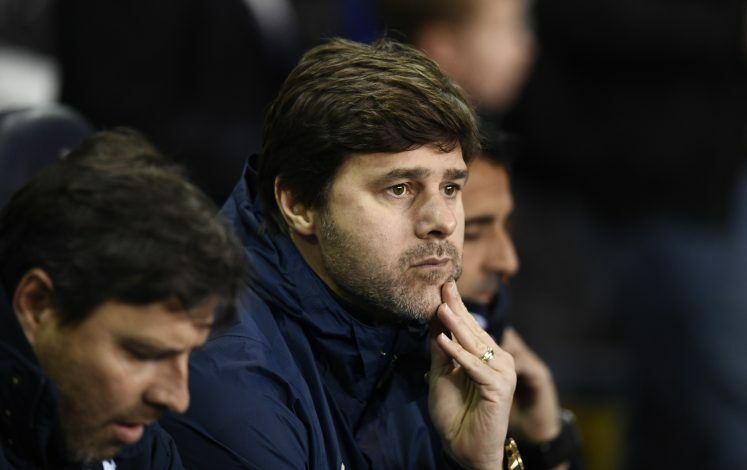 Tottenham left behind arch-rivals Arsenal to grab the second spot but missed a golden opportunity to put some pressure on the league toppers, Chelsea. On a difficult night for Spurs, Son Heung-min did strike an effort just clear of the crossbar after the break. The result was a bit satisfactory for Sunderland, who managed to move off the bottom. Hull is now sitting last on goal difference. What a shame! 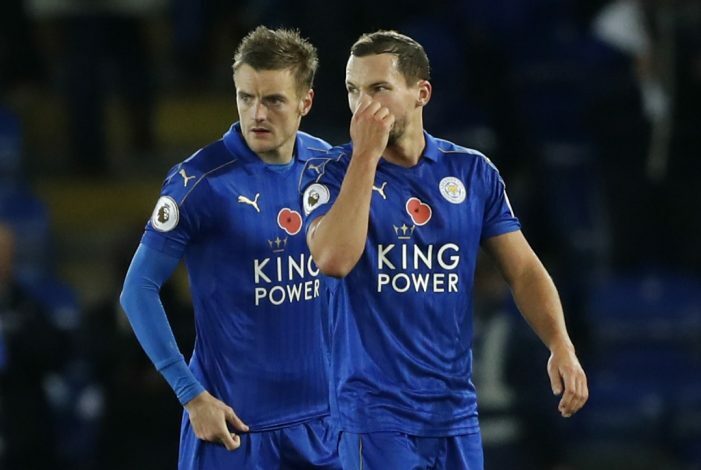 Defending champions Leicester City are now only two points above the relegation zone following a third straight league defeat. Sam Vokes found the back of the net in the 87th minute to secure Burnley’s seventh successive win at Turf Moor across all competitions. Although there was some controversy regarding the goal as replays showed Vokes allegedly controlled the ball with his hand before shooting. While Leicester are in a complete mess, Burnley are picking up significant points to stay away from the relegation threat and climbing to ninth position. Sigurdsson once again proved his importance to Swansea with a winner as they moved two points away from the relegation zone. Swansea grabbed the lead courtesy to a Alfie Mawson header just before the break, but Southampton’s Shane Long equalized in the 57th minute. Sigurdsson secured the victory with 20 minutes left for the second time in a row following his winner in the 3-2 win away to Liverpool 10 days earlier. Sam Allardyce enjoyed first Premier League victory since taking charge of Crystal Palace. Scott Dann put the visitors ahead from close range just after the break. In the injury time, Christian Benteke struck with a firm header. Palace is now sitting 18th in the league table, two points adrift off Swansea, Leicester and Middlesbrough. West Brom took the lead when former Middlesbrough midfielder James Morrison scored from 20 yards just in the sixth minute. But Alvaro Negredo’s equalizer, which came from the penalty spot in the 17th minute, ensured a point for the hosts. Middlesbrough are in 15th position, while West Brom stays eighth.